Many weight-loss diets fail for the simple reason of hunger. 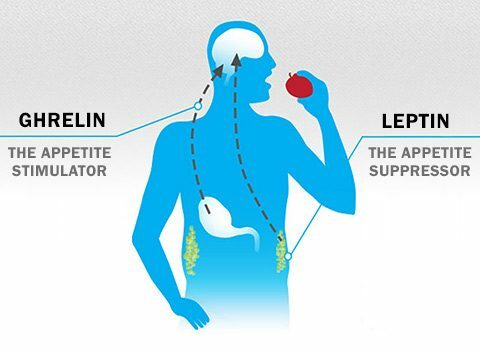 So we need to suppress the ghrelin hormone, which causes the feeling of hunger. Consuming certain food items contributes significantly to reducing the levels of activity of the ghrelin hormone by developing a feeling of satisfaction or fullness of the stomach, which delays the hormonal responses that create cravings for food. Eating apples before or after meals is an important strategy for the suppression of the ghrelin hormone. Apples have an important soluble fiber called pectin, which reduces the absorption of calories and sugars in the bloodstream. This intervention often works well after a meal. These important properties of apples reduce the activity of the ghrelin hormone, which helps in limiting the levels of fat storage in the body. Another important property of apples is that they limit the chances of sugar crash, which helps in delaying the cravings of hunger between meals. Nutritionists observe that apples help in delaying the release of ghrelin hormone for about two hours. The insoluble fiber in rice bran and wheat bran plays an important role in deactivating the ghrelin hormone by creating the feeling of fullness, which makes the consumers to eat less. It has been established by eating regular quantities of bran helps in restricting the release of the ghrelin hormone. One serving can hold back the hormone for about an hour. 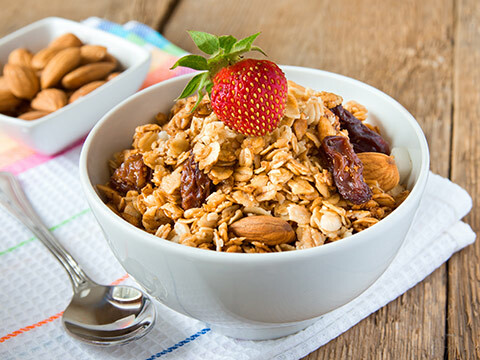 The indigestible nature of bran is one of the key factors that make it ideal for limiting the ghrelin hormone because it does not add any extra calories to the body. A consistent diet consisting of regular intake of bran achieves significant levels of weight loss in the long-term. Regular consumption of green tea works by suppressing the ghrelin hormone and inducing the production of a type of phytonutrient called epigallocatechin gallate (EGCG). The EGCG nutrient controls a second hormone called cholecystokinin (CCK), which creates a feeling of satisfaction. As such, green tea has the dual advantage of producing a hormone that suppresses hunger and deactivating the one that produces the feeling of hunger. People who consume green tea regularly are less likely to ingest more calories as compared to others who opt for other nutritional alternatives. As such, green tea offers a convenient alternative to other non-nutritional weight loss strategies. Regular intake of measured quantities of red wine vinegar helps prevent the production of the hunger-inducing hormone. The vinegar also helps in the regulation of blood sugar. Vinegar contains acetic acid as its active ingredient. This acid works by prolonging the stay of food in the stomach, which effectively delays the release of the ghrelin hormone. As a result, people who use red wine vinegar before or after meals will experience delays in cravings, which would then contribute significantly to the overall goal of weight loss. Weight loss can be achieved with relative ease by regular consumption of pine nuts. Although fats are generally considered to contain high levels of calories, certain fats such as those contained in pine nuts have the effect of producing hunger-suppressing hormones. Pine nuts also induce the production of the CCK hormone that produces the feeling of satisfaction in people. As such, these nuts should be eaten as a general strategy of achieving weight loss after some time. Regular consumers have reported remarkable progress in weight loss. Generally, the different kinds of foods that suppress the production of ghrelin hormone are appropriate for inclusion in the weight loss strategy. This strategy is ideal for people who cannot contend with the physical strain that come weight loss exercises. Pregnant women and individuals made frail by certain health or physical conditions can apply the customized diet approach as the viable option of achieving remarkable levels of weight loss without exercises. 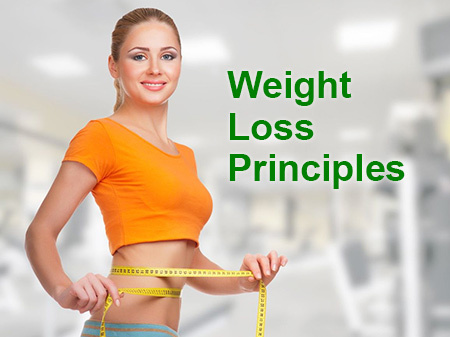 The customized weight loss diets are equally ideal for individuals who desire to shed excessive fat but lack the time or logistics to engage in the kind of exercises necessary for achieving the goal.